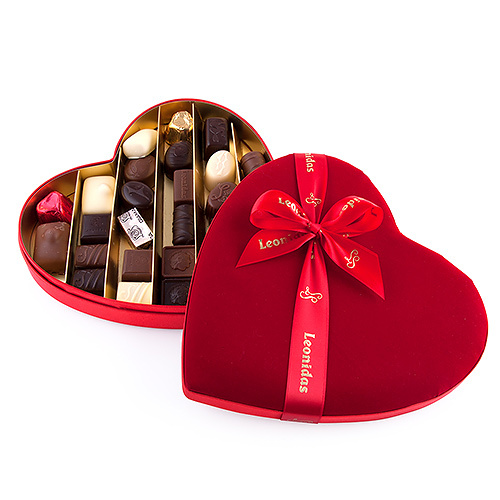 A gourmet selection of our fresh Leonidas Belgian chocolates that you'll both fall in love with. Discover some of our classic Leonidas favourites, such as creamy Gianduja, crunchy Casaleo, the Caramel d'Alexandre, and the Mosaique. A thoughtful and indulgent way to show your love. Presented in our wonderful red velvet heart box.